UPDATE: Last date for Institute reporting for CSAB Special Round-II has been extended to August 8, 2018 (10 AM – 5 PM). UPDATE: Candidates who have been finally allotted/retained/upgraded a seat in Special Round are required to report at the allotted Institute during August 1, 2018 to August 6, 2018 (10 AM – 5 PM). UPDATE: Special Round-II Results have been declared, read more here. UPDATE: Special Round-II Results will be declared on August 1, 2018 (10 AM). UPDATE: CSAB 2018 Special Round-I closing time to give Willingness, Pay Seat Acceptance Fee (if required) and Online Document Verification has been extended till July 31, 2018 (12 Noon). UPDATE: Special Round-I Cutoffs are now available. Check cutoffs here. UPDATE: Special Round-I Results have been declared, read more here. UPDATE: Special Round-I Results will be declared on July 28, 2018 (2 PM). UPDATE: Registrations closing time extended till July 27, 2018 (6 PM). UPDATE: New rule for State Quota Seats Conversion added. Read more here. UPDATE: CSAB Special Round 2018 Registrations have started, read more here. UPDATE: Vacancy details are now available. Check here. 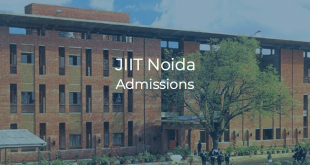 Special Vacant Seats Filling Rounds, also known as special rounds are being conducted by Central Seat Allocation Board (CSAB) to fill the vacant seats at NITs, IIEST, IIITs and other GFTIs (Except IITs) after completion of all the JoSAA Rounds. This year 2 Special Rounds will be conducted namely Special Round-I and Special Round-II. The registration and fee deposition for special round will start from July 24, 2018 (1 PM). Before Special Rounds, Joint Seat Allocation Authority (JoSAA) filled the seats through seven rounds of counselling. JoSAA consisted of representatives from Joint Admission Board (JAB) 2018 representing the IITs and the Central Seat Allocation Board (CSAB) 2018 representing the NITs, IIEST, IIITs and other GFTIs. All candidates who were eligible for JoSAA 2018 as per JEE (Main) 2018 rank will be eligible for participating in the Special Round. All such candidates who have participated in JoSAA 2018 but declared ineligible will stand ineligible for this Special Round as well. Candidates who have not registered in JoSAA 2018 till now but are eligible as per their JEE (Main) 2018 rank will also be eligible for participating in the Special Round. Candidates who participated in JoSAA 2018 and were allotted a seat will also be eligible for participating in the Special Rounds for NITs/IIITs/ other GFTIs (except IITs). Candidates who participated in JoSAA 2018 but did not get any seat will also be eligible for participating in the Special Rounds for NITs/IIITs/ other GFTIs (except IITs). Candidates who have opted “Not to Participate in Special Round” at the time of reporting at the Allotted Institute during July 19, 2018 – July 23, 2018 are NOT ELIGIBLE to register in Special Round. All candidates who were allotted a seat in NITs/IIITs/other GFTIs till 7th JoSAA 2018 round must report to the Allotted Institute between July 19, 2018 – July 23, 2018, failing which their final JoSAA rounds allotted seat will be cancelled. At the time of reporting at the Allotted Institute, if the Candidate opts not to participate in Special Round, he/she is required to deposit the balance fee at the Allotted Institute. Such candidates will not be Eligible to Register in the Special Round. At the time of reporting at the Allotted Institute, if the Candidate opts to participate in Special Round, he/she is required to submit an affidavit and pay only the Seat Acceptance Fee (if not paid in earlier JoSAA rounds) at the Allotted Institute and not the whole Fee. Original documents will only be verified and will not be retained at allotted Institute. Actual charges for Boarding/Lodging during stay in the Institute shall be paid by the candidate to the Institute. Such candidates who opt to participate in Special Round but don’t register for Special Round during the Special Round Registration window, will lose their current allotted seat of JoSAA Rounds and will not be considered for the Special Rounds. This will be treated as Auto-Withdrawal from the Counseling process and the Seat Acceptance Fee paid by such candidate before Special Round, will be refunded by CSAB after deducting Rs 1,500. Candidates can also withdraw their allotted seat at NITs/IIITs/Other GFTIs during the Institute Reporting window (July 19, 2018 – July 23, 2018) at the allotted Institute. In case of withdrawal, the Seat Acceptance Fee will be refunded back by CSAB after deducting Rs 1,500. If any Institute Fee is paid, it will be refunded by the Institute after deducting actual charges for Boarding/Lodging during stay in the Institute. Candidates who were allotted a seat in IIT till 7th JoSAA 2018 round, can also participate in Special Round. But the Seat Acceptance Fee and/or Institution Fee will not be adjusted in the Special Round Participation Fee. Candidates need to visit CSAB website & click on “CSAB 2018 Special Rounds Registration and Choice Filling” OR directly go here. Candidates need to login using their JEE (Main) Roll Number & Password and make payment of special round participation fee. Please note that earlier registration made on JoSAA portal is now null and void. During Registration, candidates other than those who have reported at allotted Institute after 7th JoSAA round, can update their State of Eligibility, Nationality, Gender and Category/PwD (only from Beneficiary to non-Beneficiary Category). Candidates are required to upload Certificate of class X, Marksheet of class XII, Category Certificate (if applicable) and PwD Certificate (if applicable). PwD candidates are required to upload Affidavit along with the PwD Certificate in a single file. The uploaded documents/original documents will be verified at the time of reporting (online/in-person) only for those candidates who have been allotted a seat. Candidates are required to enter details of bank account (Account Holder Name, Account Number, IFSC Code, Bank Name) in which they wish to receive the refund amount, if any. Candidates are also required to upload scanned copy of cancelled cheque of the same bank account. A candidate is also required to provide the marks out of 500 in class 12th, as per eligibility norms mentioned here. Check the Top 20 Percentile cutoffs here. Registered candidate will be able to fill/re-arrange his/her choices where all the seats of NITs/IIITs/GFTIs will be displayed for which that candidate is eligible as per his/her category. All registered candidates are required to fill fresh choices. Earlier filled choices will not be considered in this round of seat allotment. Candidates who have successfully reported at PI and want to participate in this round are also required to fill fresh choices. All valid choices will be shown to the candidate except physically reported seat. Their last allotted seat (Physically Reported Seat) will automatically be considered as last choice in the set of choices. Based on new set of choices, a new seat will be allotted or his/her earlier allotted seat will be retained. 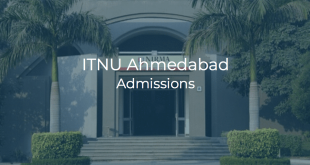 Candidates must check the cutoffs of all colleges till 7th round and fill the choices wisely as this would be the last round of counselling for admission in NITs, IIITs & GFTIs. Check the tentative seat matrix of vacant seats here. In the case when any Home State Quota seats remain vacant, such seats shall be converted to All India Quota and will be filled on the basis of merit in the given category. The result of Special Round-I is expected to be declared on July 27, 2018 (5 PM) July 28, 2018 (10 AM) July 28, 2018 (2 PM). Candidates accept the offered seat and indicate that they are content with the allocated academic program and that they do not want to participate in next round of seat allocation. Such candidates will NOT be considered in Special Round-II. Candidates accept the offered seat and can restrict one or more of their choices above the currently allotted choice, but cannot rearrange/add new choices. 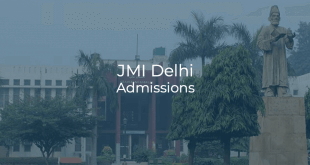 Candidates also indicate that, if admission to an academic program of better/higher preference (in the remaining choice list) in any Institute is offered, they will accept it. Else, they will continue with the currently accepted academic program. Such candidates will be considered in Special Round-II. Candidates reject the offered seat and can restrict one or more of their choices above the currently allotted choice, but cannot rearrange/add new choices. Candidates also indicate that, if admission to an academic program of better/higher preference (in the remaining choice list) in any Institute is offered, they will accept it. Whether the candidate is allotted/not allotted any seat in the next round, he/she will have no claim on the seat allotted in the Special Round-I. Such candidates will be considered in Special Round-II. Candidates reject the offered seat and indicate that they don’t want to withdraw from the counselling process. Such candidates will NOT be considered in Special Round-II. Candidates who choose “Freeze” or “Float” option are required to pay the seat acceptance fee online. Candidates who have been allotted a seat first time in Special Round and want to accept the seat are required to pay ₹35,000 (₹15,000 for Sc/ST/PwD) as seat acceptance fee. Candidates who participated in Special Round with a seat in hand in NIT+ System and have been allotted a seat in Special Round-I and want to accept the seat, are not required to pay anything. All candidates who have been allotted a seat, after fulfilling payment requirement, are required to ensure Successful Online Reporting for Document Verification to confirm their seat, otherwise the seat will be cancelled. Out of the Special Round Participation Fee, ₹1,500 is the Processing Fee which is non-refundable and non-adjustable in the fee of allotted Institute. Special Round Participation Fee and Seat Acceptance Fee paid by the candidates will be adjusted in the Institute Fee. 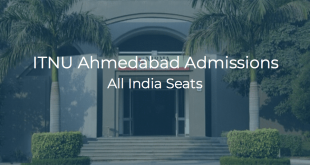 For candidates who have deposited the Fee in any of the IITs, if allotted a seat in the Special Round, the fee deposited in the IIT will NOT be adjusted in the fee of the newly allotted Institute in Special Round. Only the Special Round Participation Fee will be adjusted in the fee of the newly allotted Institute. Such candidates will have to claim their fee from IITs as per refund policy of IITs. For the candidates who are allotted a seat in Special Round-I or candidates carrying a seat from JoSAA rounds, the restrict option will be available after opting either “Float” or “Surrender and Participate in Next Round” and paying the Seat Acceptance Fee (if required). After payment of Seat Acceptance Fee (if required), candidates can login and restrict their earlier filled choice(s) for exclusion in next round of seat allotment though Fresh choice filling is not allowed. Restrict option will also be available to candidates who have not been allotted a seat in Special Round-I. Candidates can restrict only from the choices filled above their currently allotted choice. Choices marked as “Restricted” will be virtually treated as deleted and will be excluded in the next round of Seat Allotment. Restricting choices is allowed ONLY ONCE during the specified period. Candidates who choose “Freeze” or “Float” option will have pay the Seat Acceptance Fee. After payment of Seat Acceptance Fee, the uploaded documents of such candidates will be verified online by the officials of the allotted institute and final status (Seat Confirmation / Seat Cancellation) will be reflected in the candidate login. It is the sole responsibility of the candidate to keep checking his/her reporting status and provide necessary documents/information to the Institute’s official, if required during July 28, 2018 to 30th July 2018 (upto 5PM). For Seat Confirmation, the candidates are not required to visit the allotted Institute, however if a candidate has chosen “Freeze” and his status of Online Reporting is “Successful”, he may go to the allotted Institute and start attending classes. If a candidate does not select any Acceptance Option OR doens’t pay Seat Acceptance Fee OR doesn’t respond to queries of inspecting official regarding document verification, then his/her seat will be CANCELLED and the candidate will not be considered for next round. All successful allottees of Special Rounds are required to report In-Person at the last allotted institute directly and complete the admission formalities during August 1, 2018 to August 3, 2018. If a candidate opts to withdraw the seat allotted in NIT+ System in JoSAA rounds during Institute reporting (July 19, 2018 – July 23, 2018) and does not participate in Special Rounds counseling, his/her Seat Acceptance Fee will be refunded back after deducting Rs. 1,500. If no seat is allotted to the candidate in the Special Rounds, his/her Participation Fee will be refunded back after deducting processing fee of Rs. 1,500. If a candidate gets a seat allotted in Special Round-I and his/her seat gets cancelled (due to reasons specified here), his/her Participation Fee and Seat Acceptance Fee (if paid) will be refunded back after deducting Rs. 5,000. If a candidate gets a seat allotted in Special Round-I and opts for “Surrender and Participating in Next Round”, and does not get seat in Special Round-II, his/her Participation Fee and Seat Acceptance Fee (if paid) will be refunded back after deducting Rs. 5,000. If a candidate gets a seat allotted in Special Round-I and opts for “Surrender and Not Participating in Next Round”, his/her Participation Fee and Seat Acceptance Fee (if paid) will be refunded back after deducting Rs. 5,000. If a candidate gets a seat allotted in Special Round-I and his/her seat gets cancelled due to ineligibility or in-appropriate document noticed during document verification, his/her Participation Fee and Seat Acceptance Fee (if paid) will be refunded back after deducting Rs. 5,000. If a seat is allotted up to Special Round-II (i.e. seat allotted in JoSAA/Special Round-I and retained for next round OR seat allotted afresh in Special Round-II), his/her Participation Fee and Seat Acceptance Fee (if paid) will not be refunded whether the candidate joins the allotted Institute or not. Fee of such candidates will be transferred to the Allotted Institute. If a candidate who has been allotted a seat in Special Round-II and his/her seat cancelled due to ineligibility or in-appropriate document, his/her participation fee and Seat Acceptance Fee (if paid) will not be refunded back.